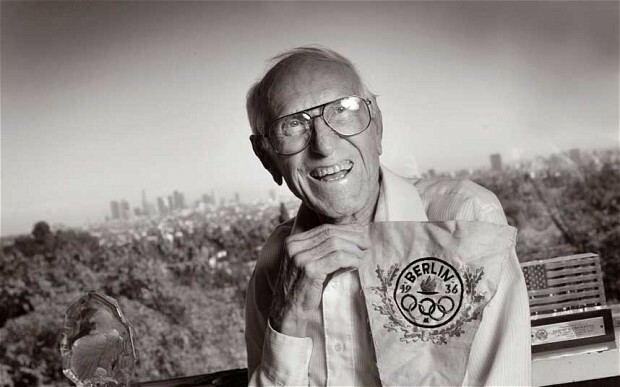 You may know the name Louis Zamperini from the 1936 U.S. Olympic track and field team. Olympic fame was not to be what Louis was most noted for, however. He holds the unfortunate record of surviving the longest amount of time lost at sea on a raft and Louis also survived repeated torture for two years as a Japanese prisoner of war during World War II. Louis family has announced that he passed away Wednesday from pneumonia. Louis Zamperini dies at 97 remarkable years of age. “After a 40-day long battle for his life, he peacefully passed away in the presence of his entire family, leaving behind a legacy that has touched so many lives. His indomitable courage and fighting spirit were never more apparent than in these last days,” his family said. A Universal Pictures movie was just made by Angelina Jolie and will release in December about Zamperini’s life. The movie is titled “Unbroken,” like the book by Laura Hillenbrand who wrote the story of his life. “We are all so grateful for how enriched our lives are for having known him,” Jolie said. At the announcement of his passing, the author of his story, Laura Hillenbrand posted a poem that she wrote about Louis. Post by Laura Hillenbrand. Louis was born in 1917 to Italian immigrants in New York, but moved to California in 1919. He became a world-class distance runner by the time he graduated from High School, setting an interscholastic record of 4:21 in the mile at a state championship preliminary. At 19, he made the U.S. olympic team. He was our top finisher (8th place) in the 5,000-meter race at the 1936 Olympics in Berlin, Germany. Zamperini retired from Olympic competition to serve the USA during World War II. Assigned as a bombardier in the South Pacific. During a reconnaissance mission, Zamperini’s aircraft crashed into the Pacific Ocean in Japanse-controlled waters. He and a surviving crewmate spent 47 days at sea on a small inflatable raft (a record.) Louis recollection of those days is incredible considering that he was then captured by Japanese soldiers on the Marshall Islands, where he spent 2 years as a prisoner of war. Zamperini came home to California with a true hero’s welcome, however suffered from post traumatic stress disorder. His new marriage struggled, but his wife begged him to attend a Billy Graham crusade and his second night there Louis Zamperini gave his life to Christ. It was 1949 and that one night changed his heart forever. His relationship with God allowed him to forgive his captors and cured his stress disorder. His story of forgiveness can well be seen in the letter he wrote to the chief prison camp guard. Remarkably, in 1950 he flew to Sugamo Prison in Tokyo and met with some of the men who had torturered him to offer them forgiveness. In fact, Louis hugging them. 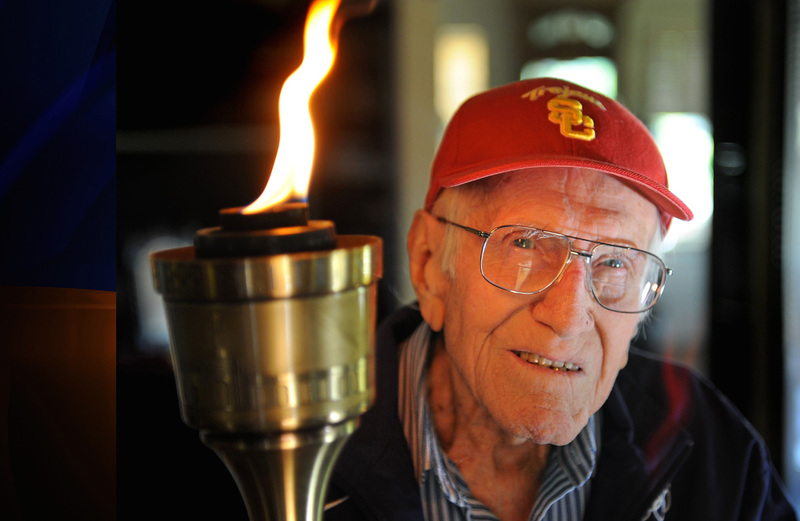 At age 81, Zamperini was asked to run a leg in the torch relay for the Winter Olympics in Nagano. During his time in Japan, he requested to meet with his most brutal tormentor during the war, Mutsuhiro Watanabe (“the bird”), but Watanabe would not meet with Louis. Louis story is one of the power of forgiveness. Forgiveness isn’t only a gift for the one who wronged the other – it also releases you from the hurt and anger that unforgiveness brings inside of us. Louis story shows that just “forgetting” is not enough, true forgiveness requires actions of love toward another that prove to them your true release. Those same actions give you a peace and freedom. 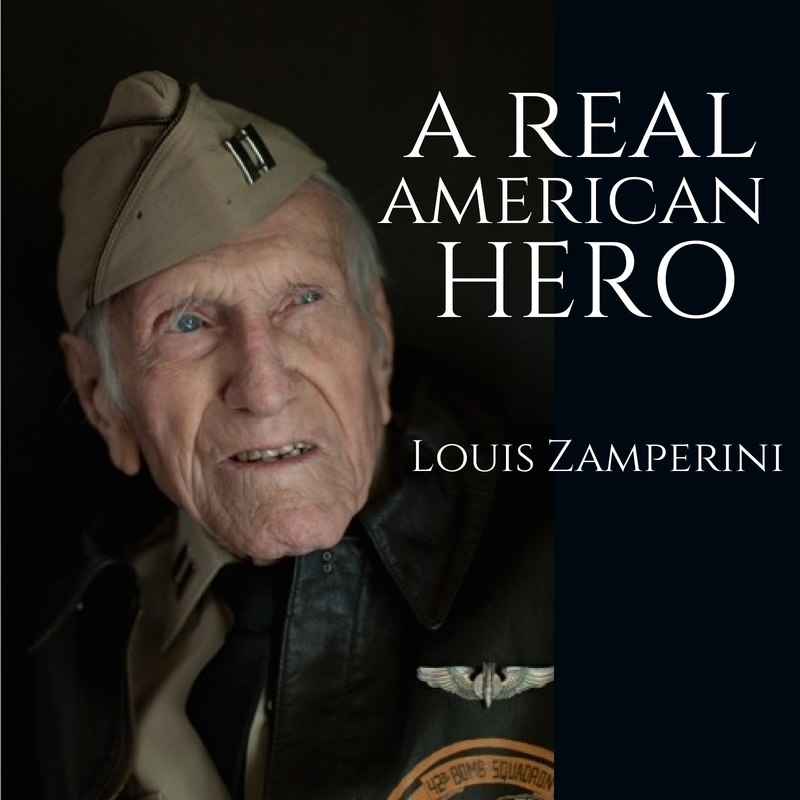 You can hear Louis Zamperini read his letter to Mutsuhiro Watanabe in this video. Valerie Uhlir - Marketing Director at Etherealinnovations.com. Lover of social media and the outdoors, Valerie spends her time offroading in her Jeep, hiking and seeking adventure. She is on a mission to be the funniest person you know. Hello, I check your new stuff regularly. This is the best so far – The life of Mr. Zamperini continues to inspire. He was brave, accomplished and kind. The kind of life we could all aspire to. Does anyone know what happened to Mutsuhiro Watanabe? Is he still alive? He was a true hero. Such an amazing life and story of forgiveness. True courage. Legend. This man was a total legend. The lesson I take away from him, is that we can all have multiple great stories in our life. Louis wasn’t content just being in the olympics – he went on to be courageous in battle. Then he went on the be a hero to his family. Total legend. This world needs more men like him. 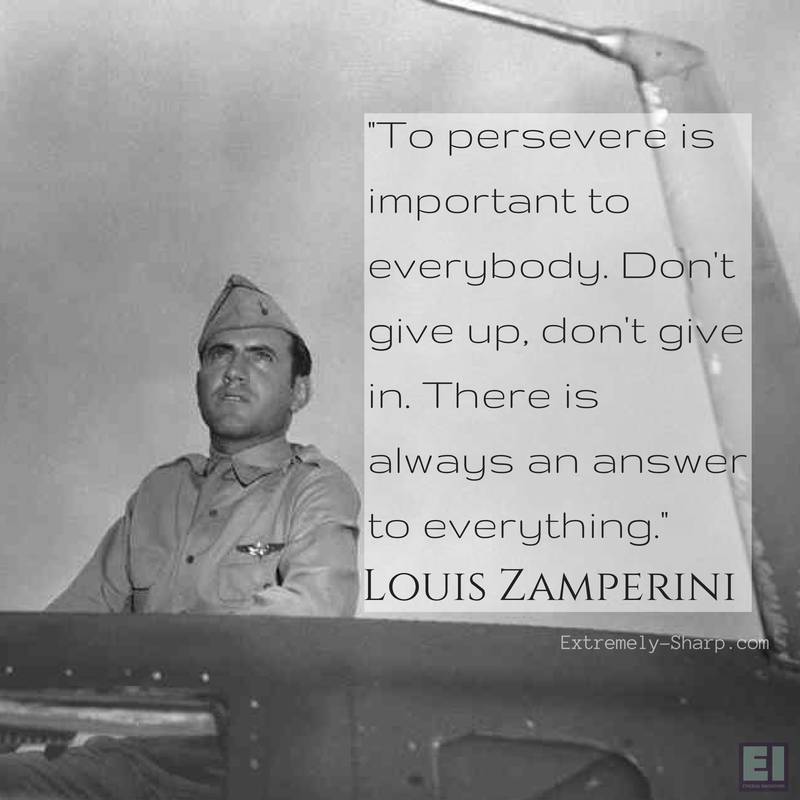 I’m glad that the life of Louis Zamperini is finally known. Movie will come out this December. I’m hopeful that his inspiring spirit will be catching across America. I am most impressed with his time in the prison camp. He must have had tremendous tenacity to get through that time.